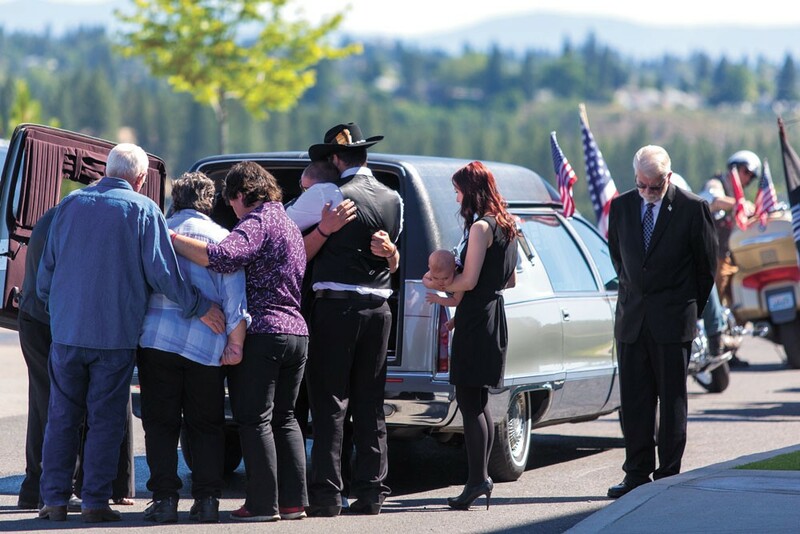 Loved ones gather Saturday morning around a hearse carrying U.S. Army Cpl. Justin Robert Clouse, 22, of Sprague, Washington, who was killed in a friendly fire airstrike on June 8 in southern Afghanistan, along with four other American soldiers. During a public memorial service at Life Center Church, military officials remembered Clouse as “one of the finest team leaders.” Gov. Jay Inslee and Rep. Cathy McMorris Rodgers presented the Clouse family with an honorary flag and letter of condolence. Clouse was serving his second tour in Afghanistan.